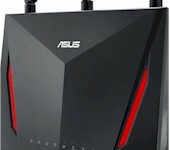 Discussion in 'ASUS Wireless' started by cusideabelincoln, Nov 9, 2018. I've been having throttled download speeds with this router. The problem is it will limit my download speeds over both a wired and wireless connection to 30-40 mbps. I have tested this router at two locations, one has 100 mbps Internet and the other 400 mbps, and at both locations a secondary router was able to provide full transfer speeds. At first I thought it was the firmware of the TM-AC1900 so I changed it (painstakingly) to an AC-68U. Right after upgrading the firmware I tested the download speeds over the Internet and I was getting full speed and my WAN link state was at 1 Gbps. However I noticed after leaving the router idle for some time, the WAN link state reverted to 100 Mbps and my Internet speeds were throttled to 30. 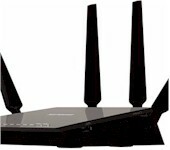 The router in question is an Asus TM-AC1900. This problem was originally happening with the latest stock firmware of the TM-AC1900. I have since upgraded this router to the AC-68U stock firmware and have tried the Merlin variants, and the issue remains. Currently the router has Merlin 380.69, but I have tried 384.72. 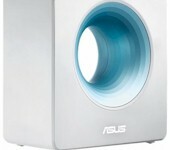 I have also tried stock Asus 382 firmware. This issue was also present with two different cable modems (Motorola SB6121 and Arris TM1602) and different ethernet cables. I have also tried enabling the dual WAN option and plugging one cable from my modem into the secondary WAN link, and leaving the primary WAN port on the router empty, and the problem also happens. Is this just a hardware issue of the router or is there a way I can force the link state to 1Gbps? When you connect the router to the modem, did you power cycle or reboot the modem? Last week I noticed I was only getting ~35 mbps download (normally I get around 115). I ran that way for a couple days thinking it might be related to a service disruption (road work down the block cut the underground cable). But I finally power cycled the modem and it came back to full speed. So somehow it got in some odd state. Okay, I have read another post of yours as well for the same issue. First and foremost, forget about all the other issues you describe and let's focus on the connection between the router and the cable modem. Regardless of your subscribed speed with your ISP provider, you should have a 1Gbps connection to the cable modem. You mention multiple routers and cable modems. Pick the most current of these and the ones you want to ultimately choose for your operation. When you connect an Ethernet cable between the modem and the router, what color are the LEDs on the physical port for each device? Please advise as to which cable modem and router you are using. The situation was first noticed at my friend's house. This is my friend's router and he asked me to look at it. He upgraded from 100 mbps to 400 mbps Internet through Spectrum. They replaced the cable modem, and when he went to test his new speeds he was only getting 30 mbps. He connected his laptop directly to the modem and he was then getting his 400 mbps. I went over there and reset everything and couldn't solve the issue; he had a spare Asus NT-66U router that we used and it was working perfectly fine. He had bought brand new Cat 6 cables at the same time the modem was upgraded. He's not the most tech savy so it is possible this issue was happening before he even upgraded his Internet, as he probably did not run a speedtest prior to the upgrade for a baseline. I took the problematic home with me and have it connected to my network. The setup is as follows. I have a SB6121 cable modem. That is connected to a TP-Link Archer C7 gigabit router. I then connected his TM-AC1900 to my Archer C7 router. I have my laptop and secondary desktop connected via ethernet cable to the TM-AC1900. My primary desktop is connected directly to the Archer C7, so that I can verify my Internet speeds are running normally. I know this is not an ideal setup but I feel it is irrelevant to the root of the issue I have described. I've reset his router several times using several methods. I've used several versions of firmware, from the stock T-Mobile to the stock Asus to Merlin variants. I have gotten the router to temporarily download, from the Internet, at full speeds. Well I plugged more ethernet cables into the LAN port and for some reason that forces the WAN port to stay at 1 Gbps. However now those LAN ports are at 100 Mbps. Wireless speeds of both 2.4 GHz and 5 GHz are also below 100 Mbps. I've reset the router various times and tried Merlin firmware as old as 380.64. Currently I have the router with the latest Merlin firmware of 384.72. I cleared the nvram via SSH using "mtd-erase2 nvram", power cycled the router, and then reset it via the WPS-button method. The slowed speeds were still present, although I found another oddity. The one device that was connected with an ethernet cable and had a link state of 1 Gbps was able to achieve full speeds. 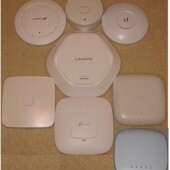 The other devices that were stuck on 100 mbps link state did not. Wireless speeds are hit and miss depending on what device I use and what frequency I choose with each device - speeds are all over the place and inconsistent from test to test. My buddy has since gone out and bought a new router (Nighthawk AC2400), so fixing this one isn't a priority. It is a matter of curiosity, though. He's been going through customer support trying to get a refund or replacement for it since he bought it only 7 months ago, and got the extended warranty since it is a refurbished product. Hello, I'm having the exact same problem. WAN is stuck at 100 Mpbs. The converted TM-1900 is successfully running Merlin 384.8_2 (Indicating model RT-AC68P). I'm using an SB6183 connected via a CAT6 to Ethernet WAN port. I was seeing slow internet speeds and discovered that the router is stuck at 100 Mbps. The SysInfo page shows the WAN Link State at 10 Full Duplex. I have experimented with several cables (all gigabit capable) and swapped to a genuine AC-1900P to verify that the modem and cabling is not the problem. Does anyone have an idea on how to get up to gigabit over WAN? I'm not sure if this is a bug, configuration problem, or hardware issue. Thanks! Just a guess. Run ssh command: cat /proc/cpuinfo what BogoMIPs are you getting? Thanks Ronald, BogoMIPS are showing 199.06 and 199.47 for processor 0 and 1, respectively. I'm not sure what the tolerance is or how close to 199.8 they should be. Thoughts? I hope that's a typo . It should be about 1999, not 199. Am I in the right place? Thanks! Ouch! Well your router's CPU is only operating at 10% of the speed of a real RT-AC68U, 100MHz instead of 1000MHz. Even so that's not the original speed of that unit, it was originally 800MHz. So given what @Ronald Schwerer alluded to in post #7, I'm guessing this is a known consequence of trying to illegally run Asus' firmware on that router. I suggest you try to restore the router to it's original condition before you modified it (you did take backups didn't you?). Please don't ask for help on modifying your router to run Asus firmware as that is not an allowed subject on these forums and your posts will be deleted. You'll need to look elsewhere for that information. 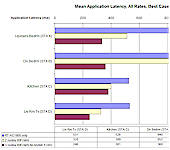 @ColinTaylor Thank you for clarifying CPU speed issue. I did restore back to the the original CFE. BogoMIPS returned to ~1599, however, WAN port remained stuck at 100Mbps. I then tried CFE 1.0.2.0 and reflashed back to Merlin 382.8_2. BogoMIPS remain at ~1599 despite changing clock speed to 1000,800. Should changing CPU clock speed have an effect on BogoMIPS? In all configurations (TM,Asus,Merlin), WAN port is stuck at 100Mbps. However, I found it interesting that connecting an additional device will bump up speed to 1 Gbps, but only for that LAN port...not the WAN. This occurred in CFE 1.0.2.0 and Merlin. I'm not asking for help modifying the router for Asus firmware. However, I'm new to this forum so if this discussion is in violation of forum rules, I assure you it is not intentional. If so, please advise. Thanks! Did you erase NVRAM after installing Merlin? BTW, is that 382.8_2 a typo? You should also erase NVRAM when you change CFE. I am pretty sure your WAN issue is not directly related to the clkfreq. These routers work perfectly fine at the default 800MHz. It's possible that the router's WAN socket is damaged or dirty. Examine it under a magnifying glass for things like bent contacts. You can test the pins with an older only 4-wire crossed (!!!) 100Mb/s LAN patch cable. If you look inside the connectors side by side different pins must be wired to. Test it plugged in in both directions. If its working in both test cases all 8 pins are working and 1GB shouldnt be a problem too with 8-wire LAN cable, otherwise your WAN-port is half defective or only a pin not connected, have a look inside WAN port, all pins have to be parallel upstanding.